Back in Sainsburys (that is to say, back in England) I always used to go to the exotic foods section to buy black beans and KA. In short: I love exotic food sections in supermarkets. Still some €3.43 tins of baked beans avec pork sausages though. Booyakasha. Zoom in to find your favourite brand. Also big up to all the Ambrosia massive (especially @marky141 and @whatamellowman) keeping your products right on my doorstep, nuff respect. Tags: Beans in France. Bookmark the permalink. 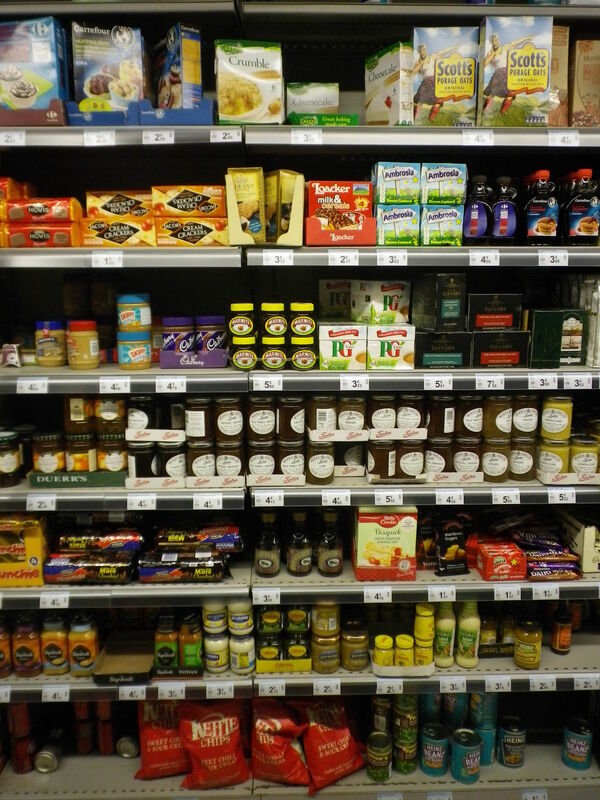 My dad is constantly on the hunt for these sections in the shops of Eastern Europe. Once, his expat friends found a shop selling cheddar cheese. They spread the word and pretty soon the store sold out. For some reason they never restocked. Hey, Cheddar is a high price commodity in France too. I think the only reason Carrefour restocks it is because of my need for cheese on toast, nachos and baked potatoes cheese and beans lol. Hope you like my blog Vicky!? I like the way you write Chris. Keeps me reading.